They are a trustworthy source. They have connections with Nick, Cartoon Network, etc. So...what does this mean? They are seriously legit?!! YES YES YES!! Yup, Nickandmore gets content from Nick/Cartoon Network/Disney like schedule information and clips/images for some shows. ^ That's awesome! So now we have the titles for the whole season! Should we...move this thread then? ^Well, its still a leak, right? Unless they are a legit nick source. 2010 But oh yeah, we're definitely going. Germany and Spain for two weeks It's just nice to know that I'll have no internet responsibilities to worry about while we're there. The information is easily accessible on nickandmore.com's website. But SMBH and I still don't know how legit it is. It's just better to keep this in the spoilers board just in case. They seem legit to me. NickandMore have all the episodes in a text file with the Book 2 episode titles left as blank and I'm pretty sure NickandMore get's everything directly from Nick, Cartoon Network, and Disney Channel. When Extremes Meet - Something happens and the Equalists gain even more power. Out of the Past - Obviously gAang flashbacks! Turning the Tides - The conflict is in the Equalists' favor up to this point, which Korra overcomes and puts the benders back on top. 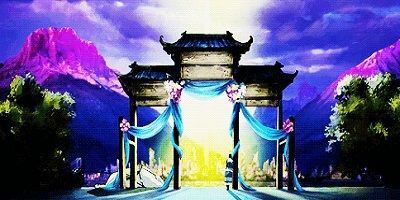 Skeletons in the Closet - Zuko intervenes, some info about Amon is revealed. I just noticed Skeletons in the Closet and Endgame are playing on the same day... Assuming 1 hour special. 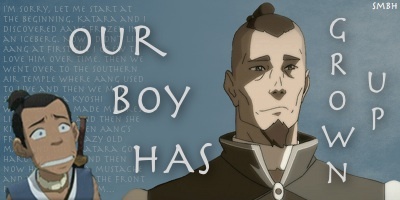 All season finales in A:TLA were a hour long excluding the Sozin's Comet movie. ^Yeah, I know that. I was just pointing out that they're connected, meaning endgame itself wont be an hour. Sounds like there's badassery to be had here. I bet Chief killed a man with her left thumb. Wow seeing them listed make it so clear how few episodes we have left. I missed this but where was it said that Dante's character shows up in 'Skeletons in the Closet'? ^He said it in an interview a long time back. 108: "When Extremes Meet" As Equalist activity continues, Korra faces off against Councilman Tarrlok. 109: "Out Of The Past" Korra tries to understand her visions; Tenzin and Beifong search for Equalist hostages. Why does "Endgame" just give me a bad feeling? Like, there might be a death, or... I dunno, I'm just getting an ominous feeling from it. ^ It's sort of funny to me, because as soon as I saw that I thought of the Star Trek: Voyager series finale episode which was also named "Endgame"! Wow, that was two years ago. Hard to believe.